A Spot of Stamping: Are you loving Sale-A-Bration? Here are a couple of thank you cards that I made for my customers to say thank you for their orders. I have used the What I love stamp set which you can earn FREE with our Sale-A-Bration promotion. Just spend $110 on product and its yours. I have based this card on the one found on page 7 of the Sale-A-Bration brochure but there are many more fabulous ideas you can create with this stamp set. 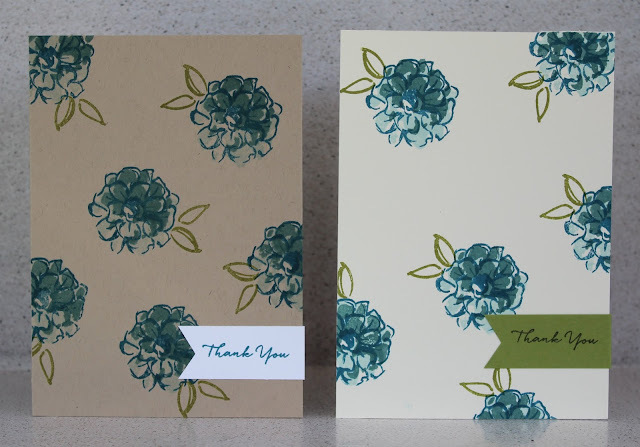 Why not check out Stampin' Up! 's Sale-A-Bration 2016 Pinterest Board here for lots of fabulous Sale-A-Bration projects you can make.